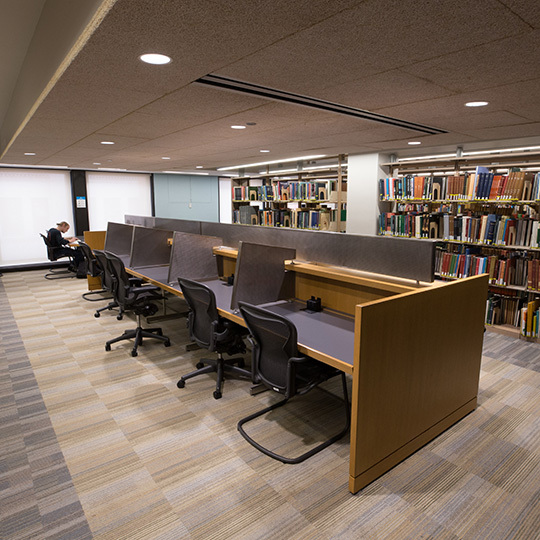 Bobst Library offers open seating in our many stacks on the east, west and south sides of the building. These spaces feature natural light, rolling chairs, regular and partitioned tables, and outlets. These spaces are designated for quiet, individual study. Other options for quiet study include our North Reading Rooms.